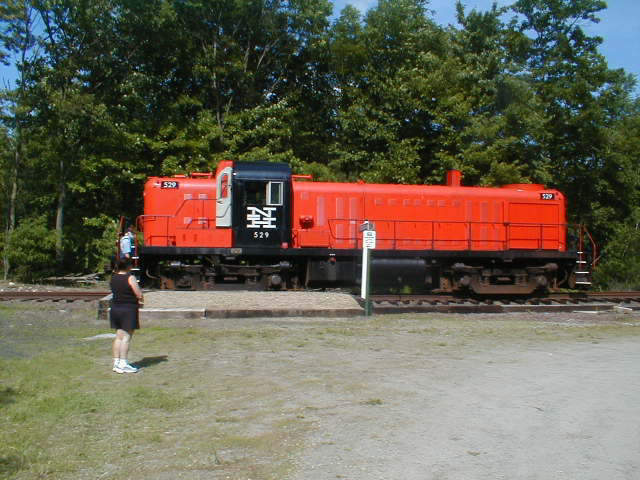 The 529 sitting at East LItchfield station, from where the "Engineer for an Hour" program operates. This photo was taken by an "EFH'er", BobEberheim, who subsequently joined and has become a welcome addition to the museum. Photographed by Bob Eberheim, June 15, 2003. Added to the photo archive by Carl Weber Jr., September 6, 2005.